After a little stop, I'm going to tell you about my Home Automation System. 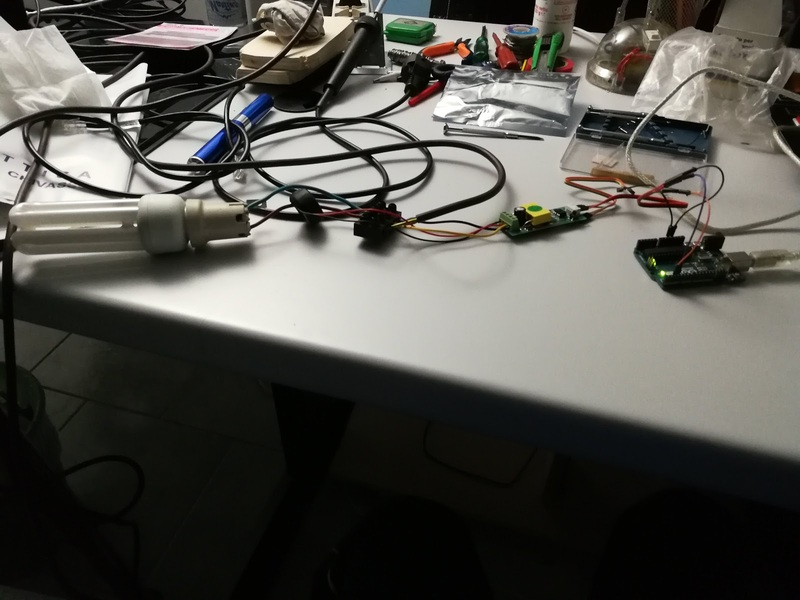 In particular, I would like to speak about some test I made to build a power monitoring system. 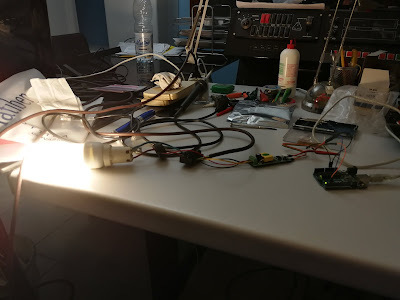 I'm trying to build something easily integrable in OpenHAB. I need a system able to acquire data and send them to OpenHAB, to be remotely accessible and use them to trigger alarms and notifications. 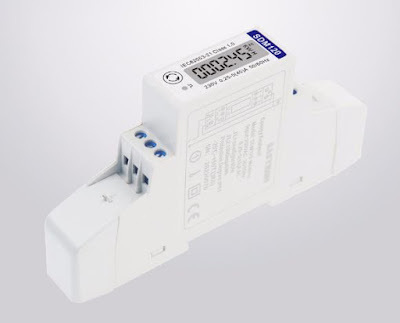 A nice product which can be query through its RS485 serial interface to fetch data about energy consumption (voltage, current, power, etc etc). 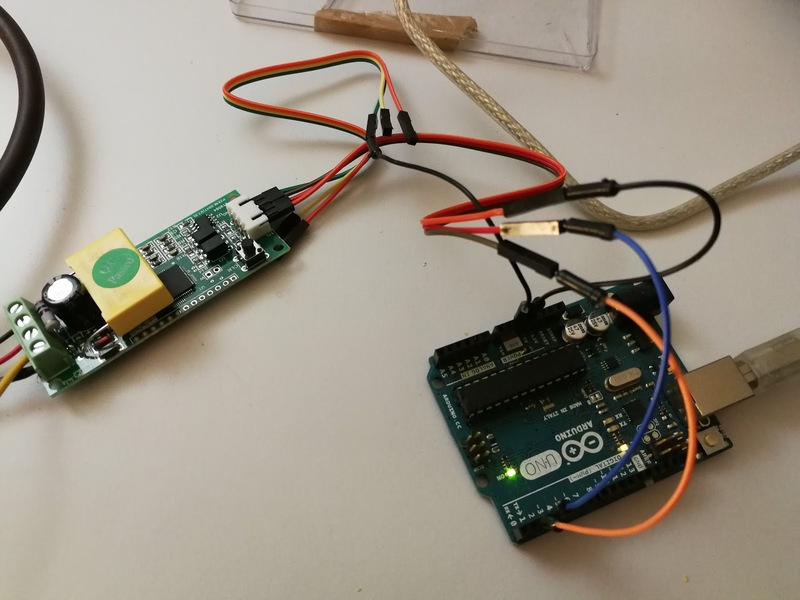 It can be easily connected to an Arduino or Raspberry. Currently I bought only one...if my tests will be ok, I'll buy others. 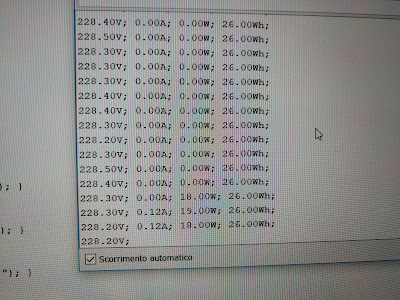 Mi target is to monitor home power consumption for each floor. Now I have to choose a MCU. 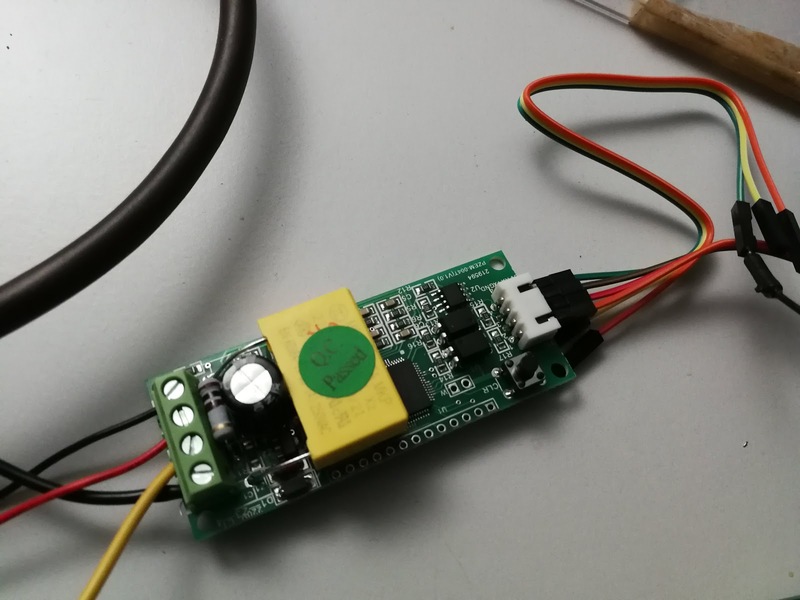 I would like to use a Esp8266 NodeMCU; it's a little device, has built in wifi capabilities and is very cheap! 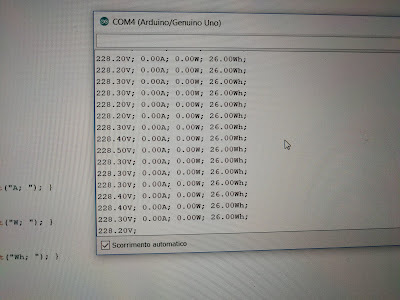 If it will not work as expected, I will use an Arduino board. If it will work good, I'll try the ESP8266 NodeMcu. 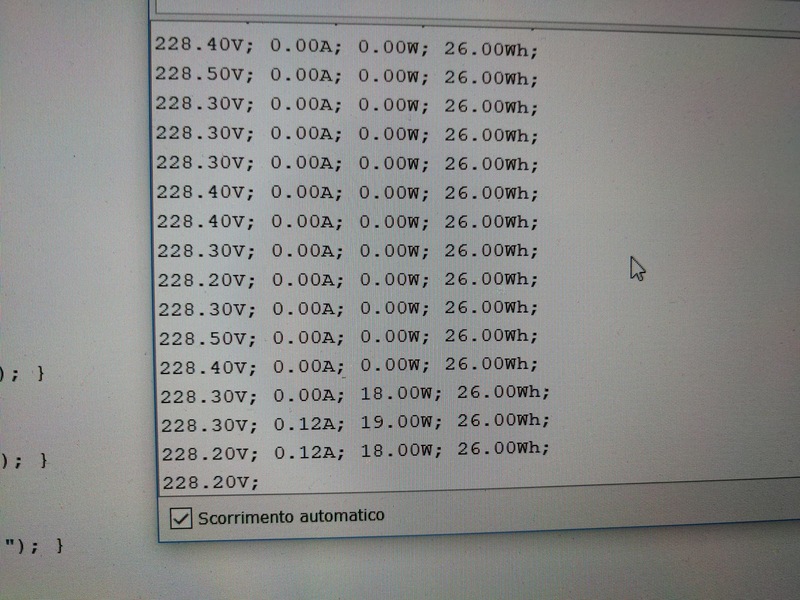 To test a load, I will use a simple lamp. Perfect. It works as expected. 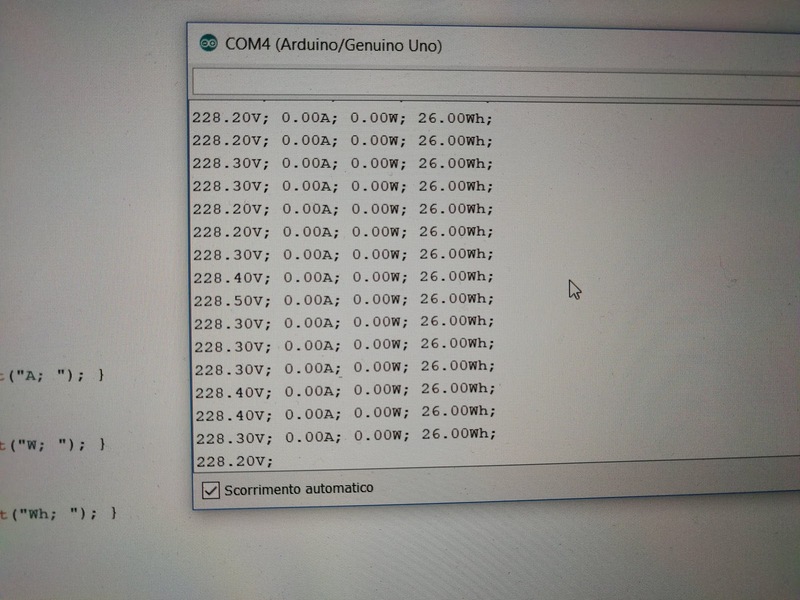 Next step will be to use an Esp8266 NodeMCU instead of Arduino and then use MQTT tu send data to OpenHAB.